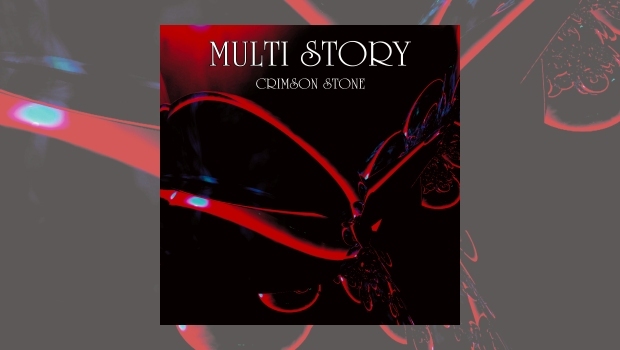 Crimson Stone is the latest album by the recently reformed Welsh band Multi Story who originated in the early ’80s, at the same time as the rise of other newer Prog bands, such as Marillion, IQ, Pallas, Pendragon and Twelfth Night with whom they clearly shared musical DNA. Some of those bands achieved success, particularly Marillion, and have remained remarkably durable over the years. Multi Story did not reach those heights and have been in hibernation for most of the time since, so it will be interesting to see how this newly re-born manifestation of these Prog rockers fare in the brave new world of Progressive music three decades after their genesis. It’s difficult to know sometimes why some bands ‘crack it’ and others that show promise do not quite cross that threshold. The signs were promising for Multi Story with a session on BBC Radio One’s Friday Rock Show in 1984. They subsequently released two albums on FM records, East West and Through Your Eyes in the mid-’80s and played with such high profile bands as Magnum and Pallas. Nevertheless, despite these efforts they never really achieved a breakthrough to more prominence which probably explains their lengthy dormancy in the last few decades, like some sort of Prog ‘Sleeping Beauty’. However, like some other ’80s ‘neo-prog’ bands that seemed to have disappeared but were ‘re-born’ in the new century, such as Comedy of Errors, Multi Story have dusted off their instruments and re-formed with some new ‘young guns’ to express themselves in new times – times that seem more open minded and receptive to progressive music with a resurgence and re-invigoration of that genre. So what do Multi Story now bring to the party in 2016? Crimson Stone shows good musicianship with some solid song writing and interesting arrangements. The main song writers are original band members Rob Wilsher on keyboards and programming and Paul Ford on vocals and acoustic guitars, whom had originally intended to record and release as a duo. However, happily they met Jordan Neale and Aedan Neale and decided to evolve in to a full band as a resurrected Multi Story, with Kyle Jones later joining them on bass. The progressive music label F2, responsible for some excellent releases in recent years from the likes of Lee Abraham (previously of Galahad), Steve Hughes and Sean Filkins (of Big Big Train fame), decided to release their album and Steve Hackett’s keyboard player and producer, Roger King, was brought in to master it. Therefore, the musical omens appear positive for this band with such renowned prog music business involvement. The album opens with the eerie sounds of Murmuration before pianos and acoustic guitars lead into Paul Ford’s strong vocals, and then a chiming rhythmic guitar line from Aedan Neale lifts the tempo intermittently. The song undulates with sort of half spoken vocals, which it has to be said are uncannily reminiscent of Fish. Wilsher sprinkles a variety of interesting sounds and effects across the song, and at one point Jordan Neale adds a very brief drum solo before the song becomes more triumphant as Wilsher hits the organ and Mellotron sounds. Sly Dream Catcher takes us into more languid, gently rolling territory with a great vocal by Ford in a voice very different to the opening song. There is some lovely poetic imagery on this song, one of the strongest on the album. This feels like a good accessible rock/pop song, with some ’80s influences and some catchy melodies. Later song White Star is in a similar vein and bounces along melodically with Ford singing well. In contrast, the following 12:16 and Tutankhamun are clearly much more ambitious in theme and musical weight and aspiration. It is debatable as to whether the band have fully achieved the menace and drama that was clearly intended for these ‘proggy’ songs but they are well played, although the production may not have helped them project their fully intended impact. These songs are clearly rooted in the ’80s neo-prog style and would appeal to fans of that genre and period. Black Gold opens atmospherically with a mouth organ reminiscent of School by Supertramp before Wilsher’s piano underpins some finely judged vocals before we move into much more sinister ground as keyboard stabs and synth effects create an ominous soundscape in what feels like some sort of urban modern spaghetti western! Rippling keyboards and guitars change the perspective into a much more uplifting latter part and bring an impressive song to a close. The Viewers sounds uncannily like Tears for Fears in places with some flowing guitar from Aedan Neale and solid, rhythmic bass from Kyle Jones, underlining the ’80s pedigree of this band. However, this is a song which is left a little in the shadows from following the dramatic Black Gold. Rob Wilsher is clearly a very skilled keyboardist and he features in the introduction to title song Crimson Stone, before acoustic guitars join under soft half spoken vocals of Ford. This is a song which demonstrates more of the potential of this band as it flows along with an impressive and interesting array of sounds and musical themes in a cohesive manner. So, where do Multi Story fit in with the new progressive music scene of this era? There are definitely more than just echoes of the ’80s ‘neo-prog’ bands in their style and repertoire, with clear comparisons to Fish-era Marillion. 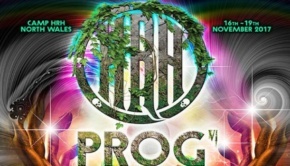 After such a long hiatus it is perhaps understandable that this is a band that in some ways is looking back to the era from where it originated before it feels more confident in striking out in the more contemporary prog music scene. In the context of artists such as Big Big Train, Frost*, IQ, The Gift, Cosmograf and Steven Wilson releasing albums of undoubtedly very high class and striking imagination in the last couple of years it is clear that Multi Story are competing in a very competitive and creative musical environment. For instance, Multi Story’s contemporaries and apparent inspirations, Marillion, have just released an album that is being regarded by some as debatably one of the best in their career, but it has to be said that this is a band that is unrecognisable from its ’80s heyday as they have evolved so significantly. Multi Story have undoubted musical skills, and this is clearly an album written and recorded with some considerable skill and imagination, which will definitely appeal to fans of that style of music. Nevertheless, with such a promising ‘re-birth’ they may need to consider whether their musical template and DNA needs reinvigorating for their next album as times and expectations have moved on considerably in the time they have been ‘asleep’ as a band.